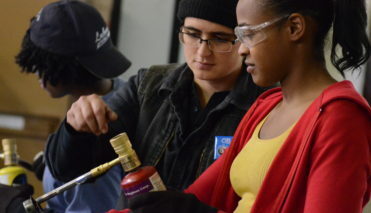 The National Center for Women’s Equity in Apprenticeship and Employment at Chicago Women in Trades (CWIT) can provide useful strategies and practical applications to increase the number of women entering and being retained in registered apprenticeship through our online resources, technical assistance and training, summarized here. You Can Do It! A Woman’s Guide to Construction Careers. 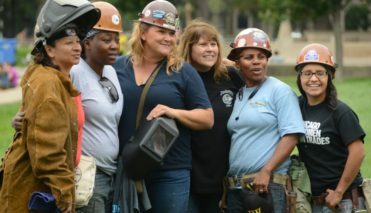 Visit our Gender Equity Partners page and find a tradeswomen’s organization near you. Want to start or expand a pre-apprenticeship program for women or more effectively recruit and serve women in your program? Explore our full curriculum including math and test preparation, workplace readiness, hands-on experience and physical conditioning. 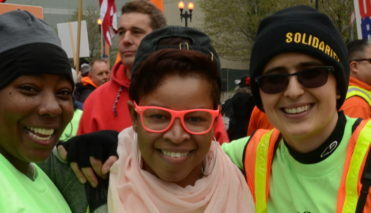 Developed in partnership with the Transportation Learning Center, this comprehensive toolkit is designed to support rail and transit leadership, HR departments and front line supervisors in developing and implementing effective plans for building women’s participation in occupations that are nontraditional for women.